Correct out-of-touch New York style rag's Internet gossip! It's complicated. God, is it ever. 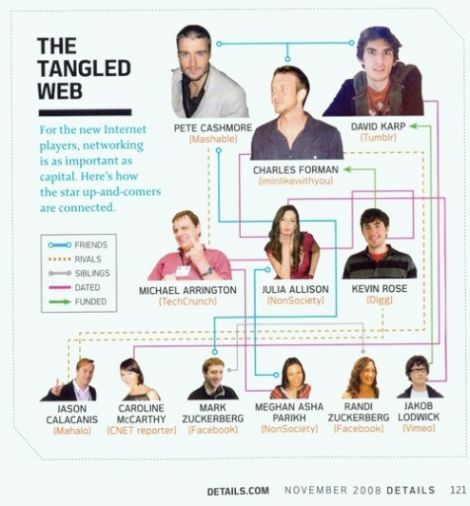 The same October Details story that follows around New York's "Internet playboys" and their bicoastal hangers-on runs with this chart of who dated, funded, or hated in this overdocumented side of the Web scene. So sweet to know we're not the only ones keeping a scorecard, but one of its subjects, Caroline McCarthy, claims there's inaccuracies! Let's do Details and the kids recently fanning their fameballs from the coverage a favor and fix it up then. Ready? 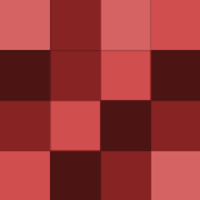 Let loose in the comments with your errata.